German carmakers are increasingly turning to electric vehicles to master tough new emissions limits looming in the EU, but the shift away from internal combustion engines will entail years of lower margins and profits, cost cutting and job losses. Costly investments have been the refrain of boardrooms at Volkswagen, BMW and Mercedes-Benz maker Daimler in recent months, in a sector also under pressure from slowing markets, trade conflicts and Brexit. After new emissions tests for vehicles known as WLTP bit into profits last year, they have announced a series of cost-cutting drives. BMW said Wednesday it would seek to save 12 billion euros ($13.6 billion) over the four years to 2022, but still book pre-tax profits "well below" last year's level in 2019. Reducing the breadth and complexity of its range is one way the Munich-based giant will squeeze its spending. Meanwhile VW said last week it would slash between 5,000 and 7,000 jobs at its flagship brand to juice profits. And Dieter Zetsche, chief executive Mercedes-Benz maker Daimler, said he would react to a "difficult year" with "countermeasures" to fatten the bottom line. From 2020, tough new carbon dioxide (CO2) emissions rules with stiff financial penalties for infringers will enter force in the European Union, with a further tightening slated for 2030. To escape fines, carmakers are stepping up their efforts to boost electric sales in large markets like Germany, France and Britain. From admitting in 2015 to cheating emissions tests on 11 million vehicles worldwide, VW now aims for 40 percent of sales to be electric powered by the end of the next decade. 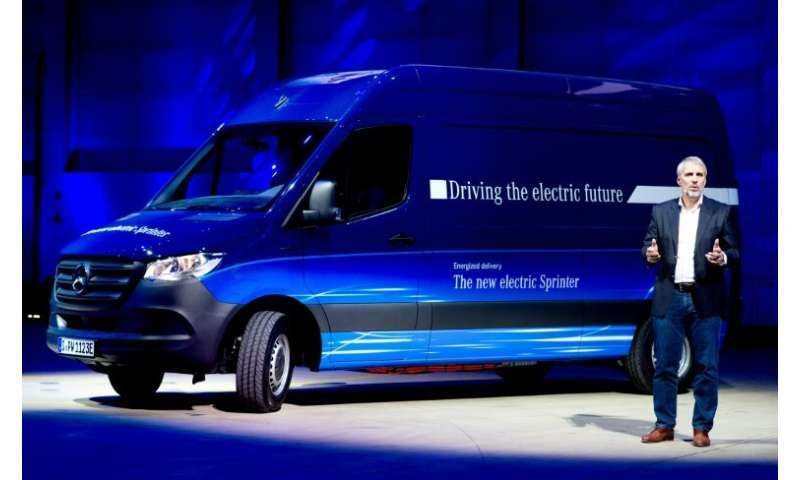 "Electric mobility is the only way to achieve environmental objectives," chief executive Herbert Diess said last month. Germany's big beasts have fallen behind foreign insurgents like US-based Tesla, which currently dominates the high-end electric market. They now fear that a combination of tough regulations, limited charging infrastructure and a lack of sufficient subsidies will hinder them reaching the volumes needed. "New competitors in the US and China are accelerating hugely," Diess told employees in a speech Wednesday. "When I come back to Germany, I know that we're not sufficiently prepared. That scares me," he added. Bosses may have knuckled down and gotten to work, but they haven't spared from criticism the demands from politicians for reductions in pollution emissions. 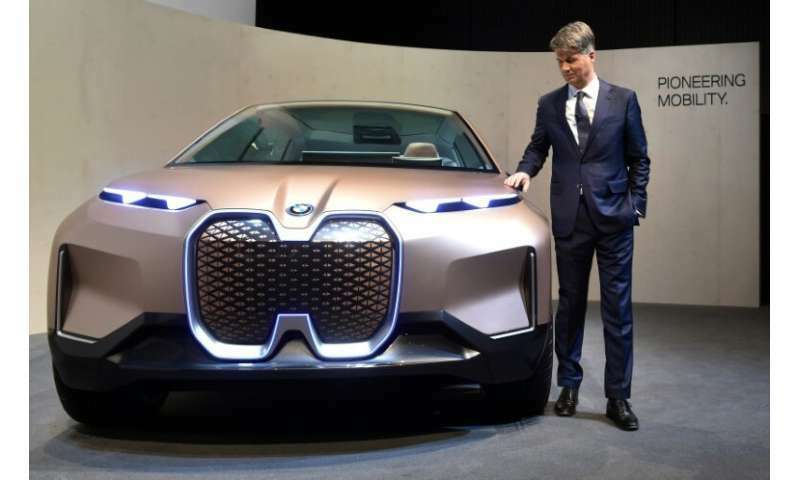 "The 2030 targets are a bet that electric vehicles will be a success," BMW research chief Klaus Froehlich complained about the EU's plan to slash new car emissions by 37.5 percent. 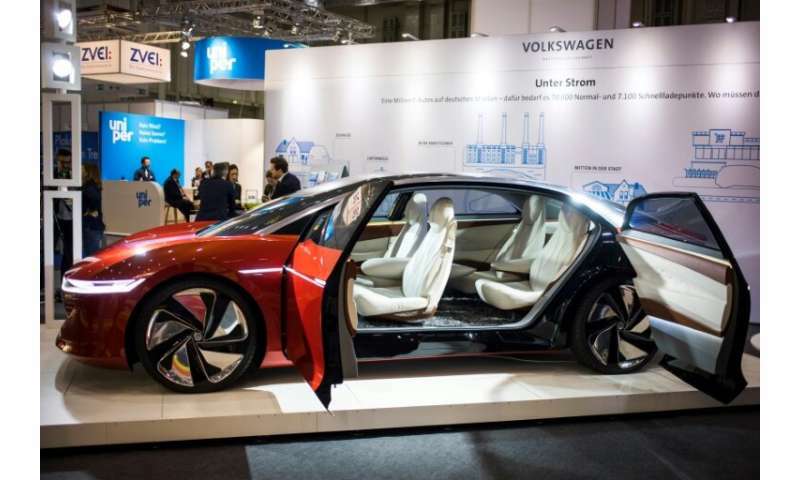 And discord among the car firms came to the fore this week when VW called for the VDA industry federation to make electric drive its priority for emissions reduction. Other manufacturers, as well as components suppliers like ZF, reacted angrily to the idea of tearing up the group's openness to all alternatives for lowering greenhouse gas output—with some firms looking at hybrid cars, natural gas, hydrogen and even more efficient diesels. And BMW chief Harald Krueger warned that carmakers focusing exclusively on one technology risked being shut out elsewhere on the market. In private, a source at the luxury firm complained that VW's move was about securing government subsidies for its cheap, small cars—to the detriment of high-end rivals.